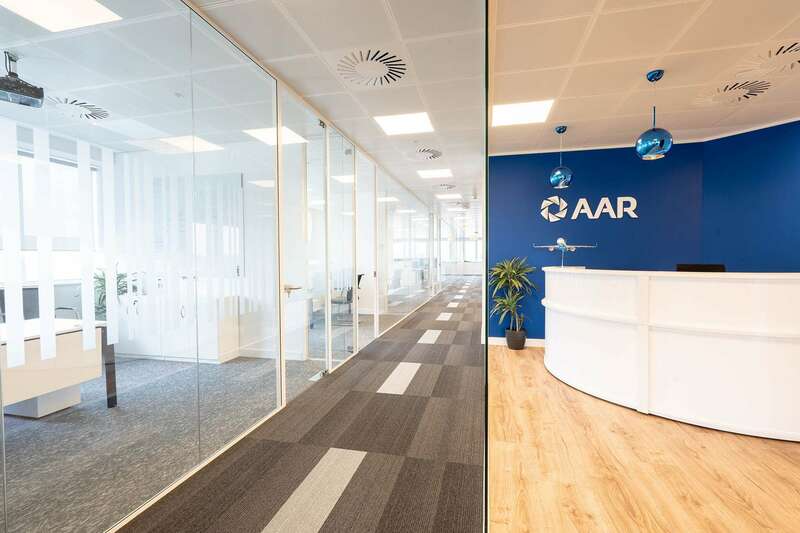 AAR Corporation are a global company providing aviation services to commercial and government clients in over 100 countries. 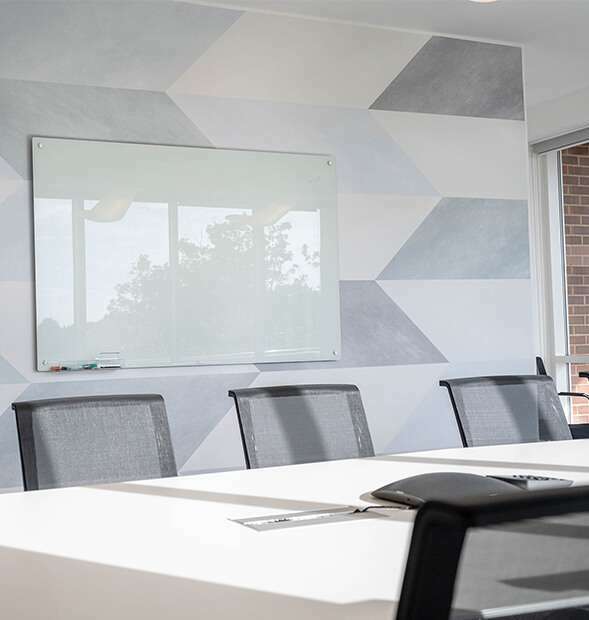 Their existing office was located close to the town centre in Crawley, and when Office Profile approached them they were in the process of securing a new space in the highly sought-after area of Manor Royal – a stone’s throw away from Gatwick Airport. 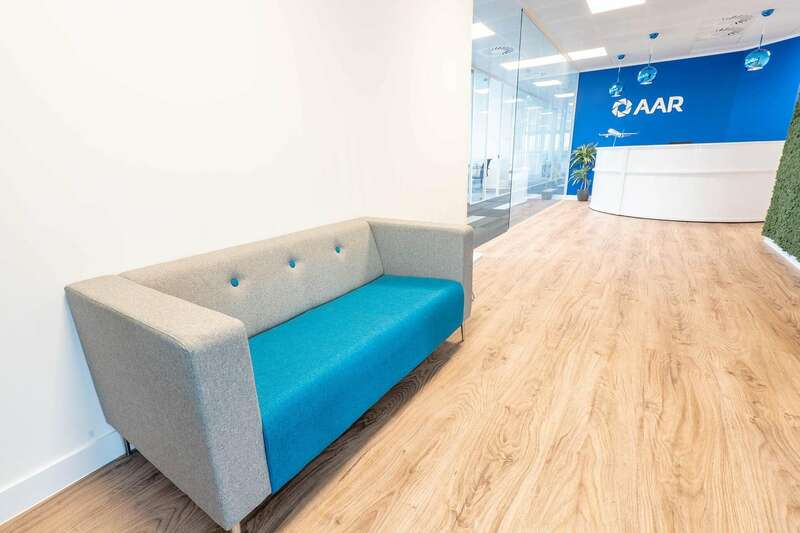 Office Profile were commissioned to complete the fit-out for their new premises and needed to incorporate several areas within the project: an open plan office space, individual offices, meeting rooms, a teapoint and breakout area, a reception, a comms room and an office for the President of AAR Corporation. 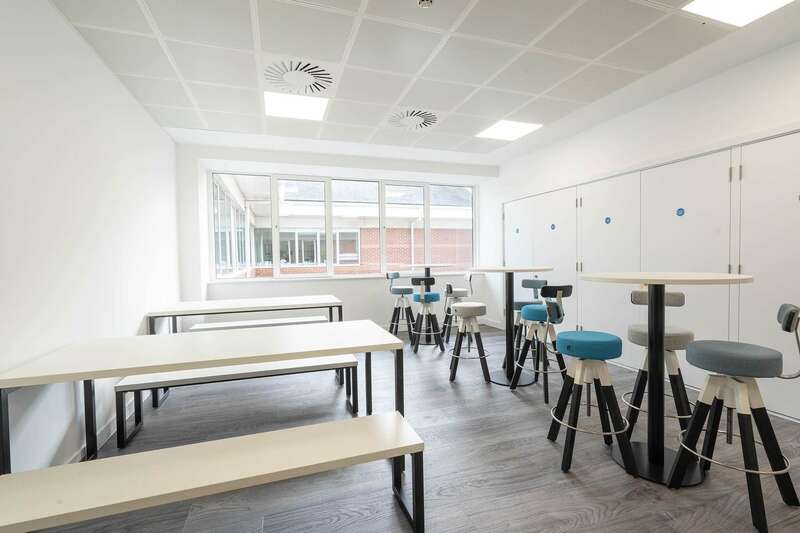 Our Design Team carried out detailed space planning to ensure that the brief was met. 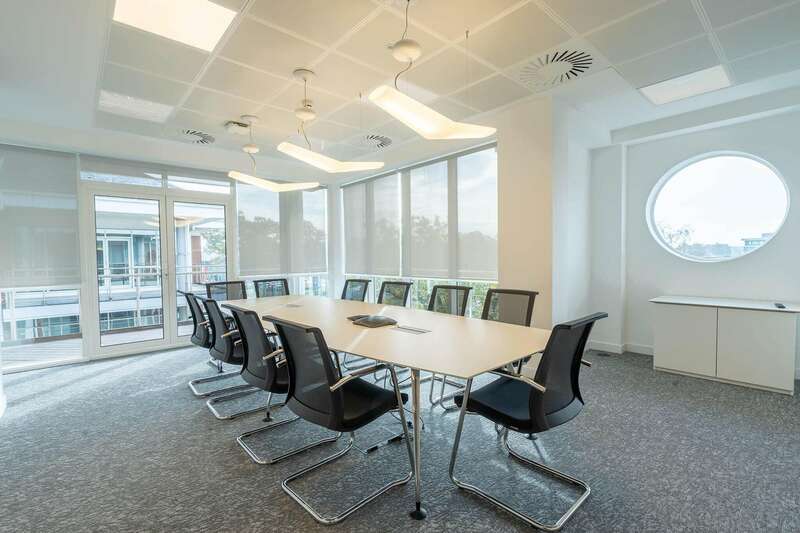 Part of the brief was to make sure that the meeting rooms were close to the reception so that visitors wouldn’t need to walk through the main office space. Office Profile began work onsite by installing full electrics to the raised access floor, using an underfloor busbar system. 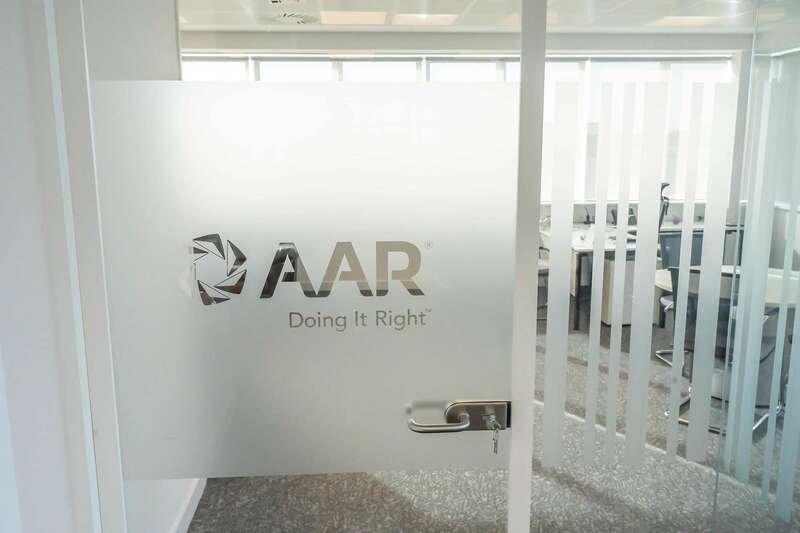 We built full-height glass partitions and doors with opaque manifestation using AAR Corporation’s company branding. 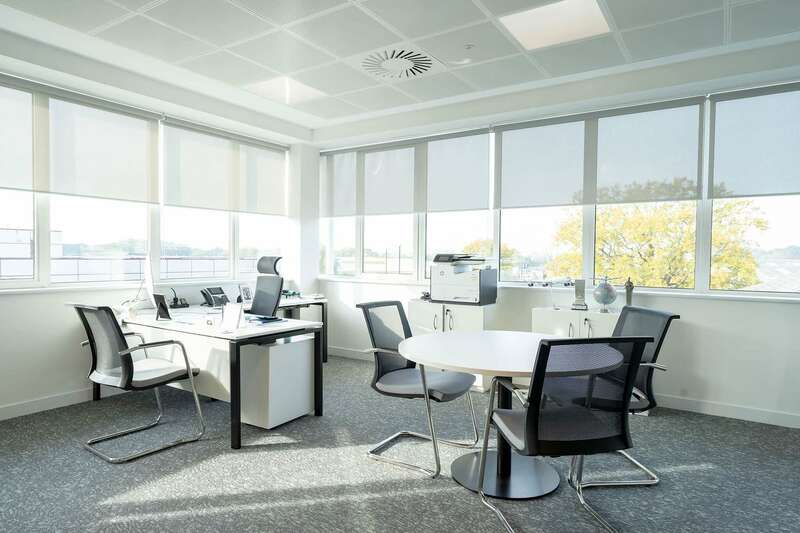 In the offices, we provided desks and ergonomic task chairs for optimal comfort. 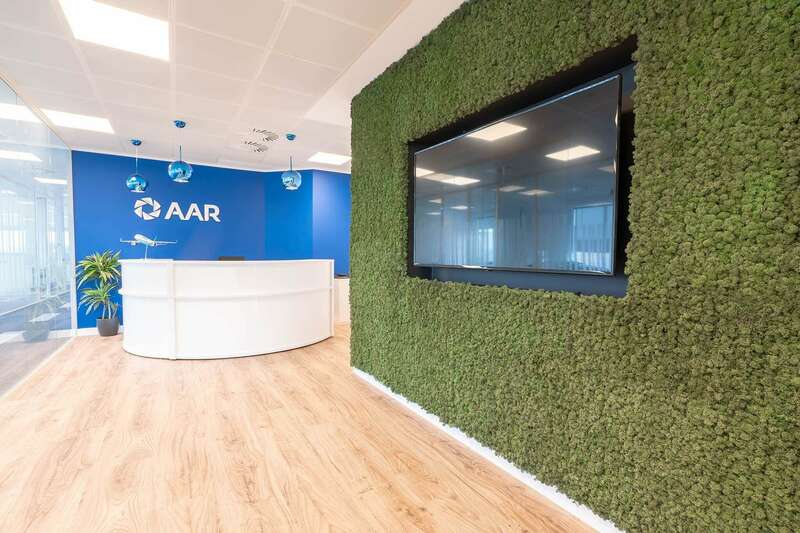 In the reception area, Office Profile constructed a stunning moss feature wall with an integrated TV fitted flush to the wall, to add the ‘wow’ factor for visitors and staff. 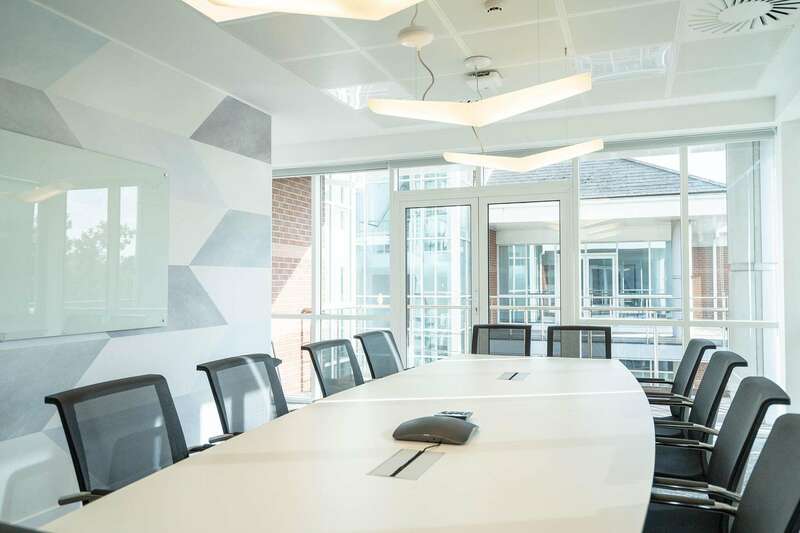 We fitted chic blue Tom Dixon pendant lights above the reception desk and finished the area with a smart sofa in the company’s corporate colour scheme. 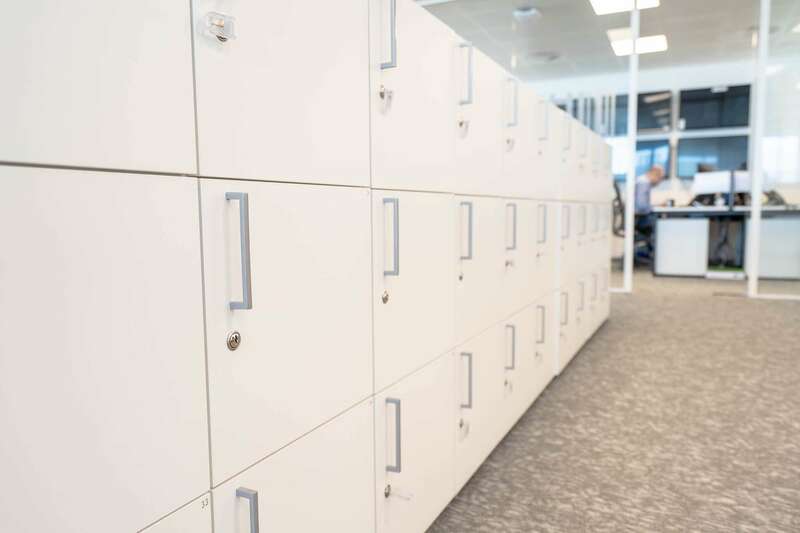 White desks with pedestals and blue privacy screens were supplied in the main office space, as well as a low wall of lockers for added security and storage. Following the aviation theme, the Design Team created a ‘runway’ corridor, by a clever use of flooring in different shades of grey. 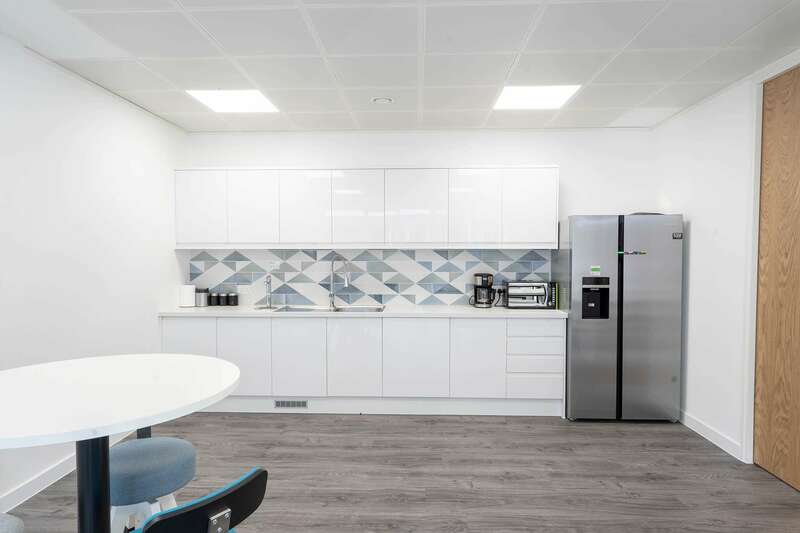 The teapoint features fresh-looking white gloss units, a grey speckled worktop and modern grey geometric tiling. 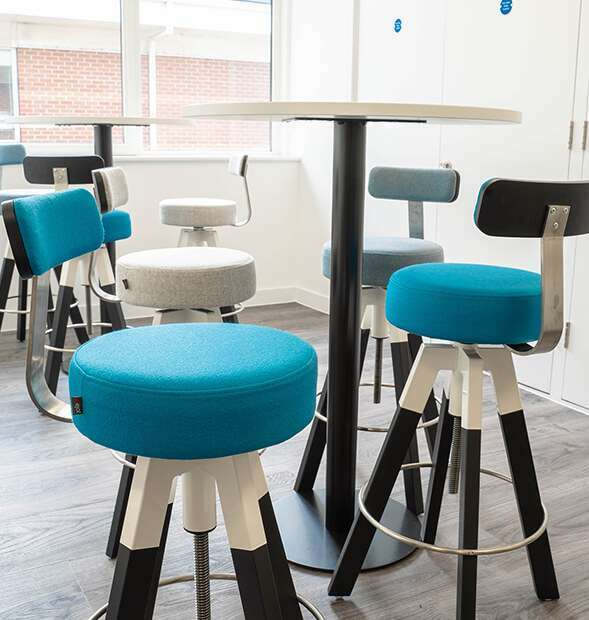 Elegant high Spin Stools in a combination of grey and blue fabrics with poseur tables were supplied, along with Feast tables and benches in the breakout area.